Spring is the season of growth and a time for change. As the days get longer and the grass gets greener, many of us take this as an opportunity to clean and declutter. Follow these important city codes to keep our homes and neighborhoods safe and clean. Para más información, haga clic aquí. Overgrown trees and vegetation could threaten public safety as they can block the view of traffic signals, vehicles or cyclists. Property owners must trim trees hanging over the street and there must be at least 14 feet of clearance at the curb line. Learn about right-of-way maintenance. Are limbs hampering traffic flow? Is a fallen tree clogging a waterway? Has a tree fallen on utility lines? Is a tree creating a blind spot at an intersection? For any of these issues, you can call 3-1-1. 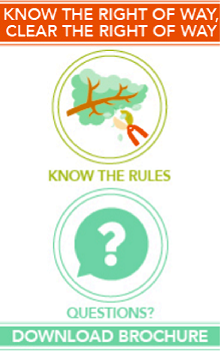 For advice on plant pruning around power lines, visit austinenergy.com/go/trees. 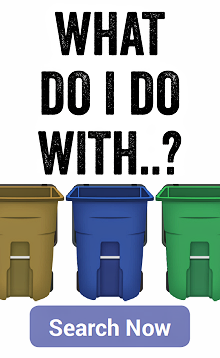 Garbage carts must be returned to their storage area on private property by 10 p.m. on the designated collection day. They should be placed at the curb by 6:30 a.m. on collection day but not prior to 8 p.m. the evening before. Learn more about collection guidelines and cart sizes. There are a number of regulations concerning the storage of vehicles in a residential area. Report junked or abandoned vehicles to Austin Police Department. A garage sale may not be held at the same property more than four days per calendar year or at a property participating in a residential tour (Residential Tours, Section 25-2-902). More than four garage sales per calendar year is a violation of city code and is considered a home-based business (Home Occupation, Section 25-2-900). In addition, garage sale signs may be posted on the property where the sale is occurring for no more than three consecutive days. Need resources to begin your Spring Cleaning? The City of Austin offers a variety of resources and information to help keep your home safe this spring. Drop off items at the Recycle & Reuse Drop-Off Center. Recycle Right! Find out which items can be placed in the blue recycling cart. Find out where to donate and resell unwanted or reusable items with the Austin Reuse Directory. The Tree Information Center offers resources and information on City programs related to trees.